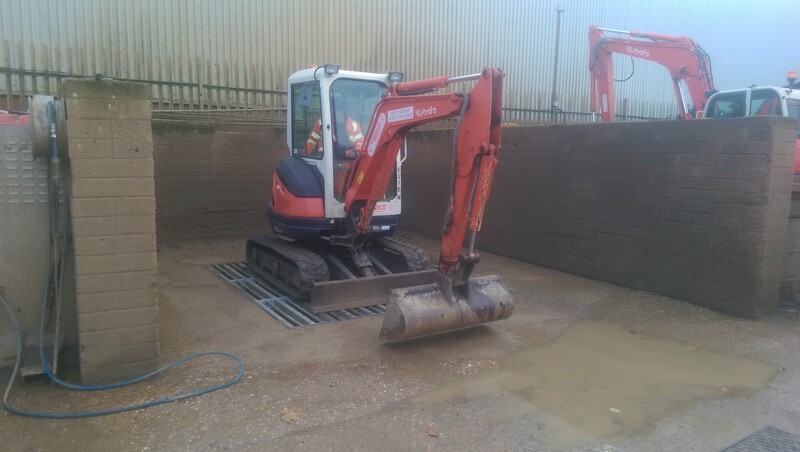 Supplying plant to clients in a clean condition is vital for any ambitious Hire Firm. Keeping In-House Plant in good visual order is equally important. A Plant wash Grid is the answer. To do this efficiently requires effective control of the run off water, usually carrying a heavy load of mud. The grid and its supports need to carry substantial loads and need to be properly designed for the application. At Blackburn and Roberts our Jenni Range can supply standard units, with variable size and loadings to meet every application. The run off water needs to be held and allowed to settle before it is discharged into the drains if blockages and legal action are to be avoided. 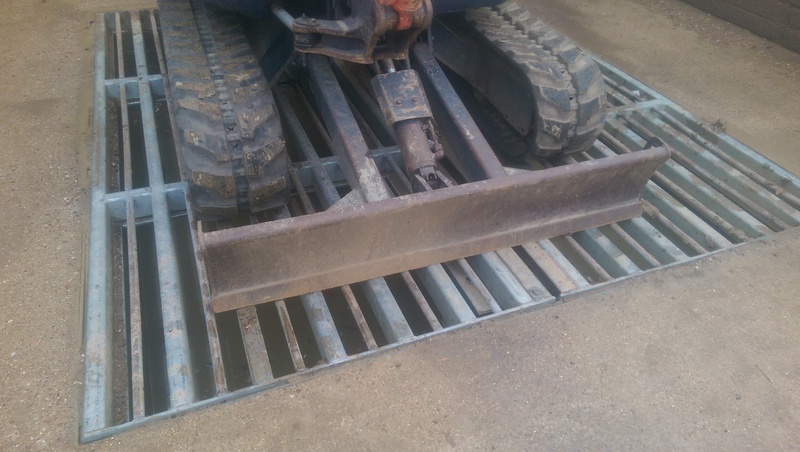 The gratings on our units can be quickly and safely stripped to remove the build up of mud. 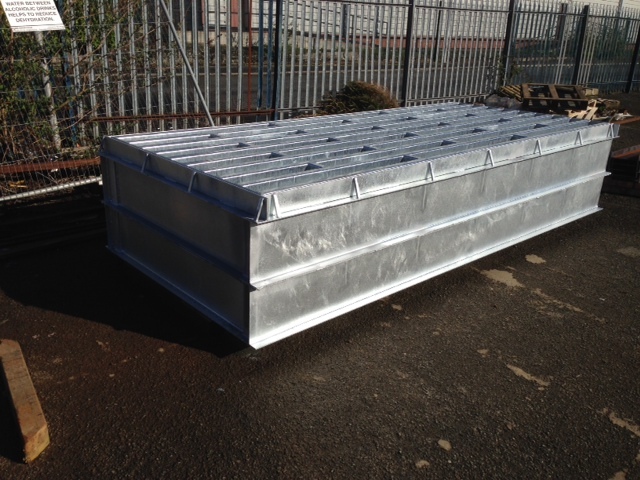 In addition to the sound design our units are fabricated in steel by coded welders and are galvanised for a low maintenance. Every application is different and our Design Engineers welcome calls from client considering using the products to discuss their local issues. Advice is free. The grid pattern may be varied with different applications. 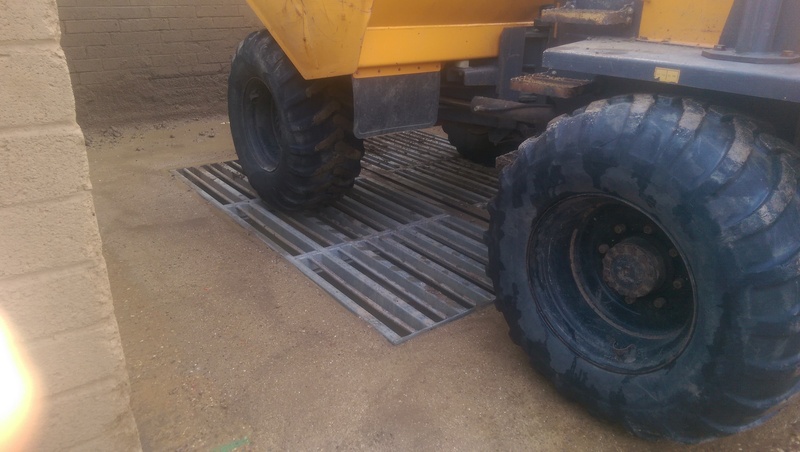 Please remember these are not Cattle Grids and must never be used as one.